Delayed cord clamping, also known as ‘optimal cord clamping’, is becoming more popular due to the many benefits this simple practice can do for your baby. Published studies suggests delaying cord clamping results in healthier blood and iron levels in babies. When your baby is born – premature or full term – only about 2/3rd of his/her blood is in its body with a 1/3rd remaining in the umbilical cord and placenta. It is during the mother’s third stage of labor (lasting from delivery of baby to delivery of placenta) that the cord actively pumps this iron-rich, oxygen-rich, and stem-cell-rich blood into baby. Just 3 minutes after birth, more than 90% of baby’s blood transfusion is complete! Immediate cord clamping is a medical intervention with NO proven benefits. If you live in the U.S. or Europe, your baby will often not receive this cord blood because its umbilical cord is cut before baby has received all its blood. The result is a baby is deprived of precious early-life resources that could allow him or her to flourish. 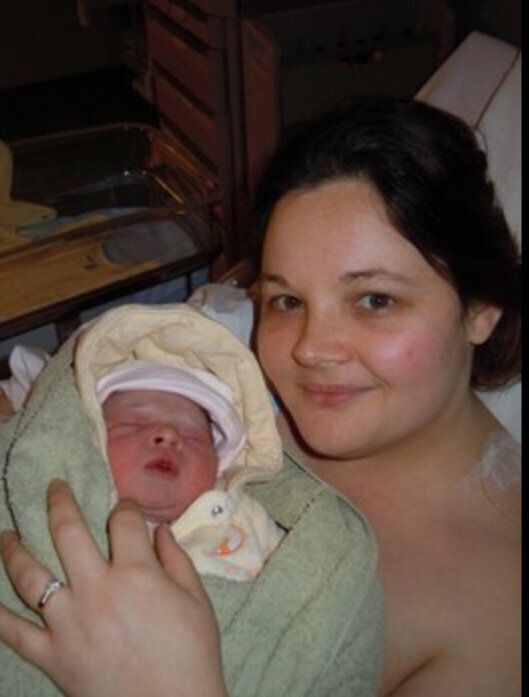 Did you know that one third of your baby’s blood is outside of its body at the moment of birth? Support your baby’s developing immune system and ability to resist infection. If the cord is clamped too soon (before it stops pumping) your child misses out on 60% of its red blood cells, additional iron, stem cells, white blood cells, and much more. These are the same ingredients that support your baby’s developing healthy bodily functions, intelligence, resistance to infection – and much more. Wait just 90 seconds to clamp your baby’s cord! Delayed cord clamping means waiting at least 90 seconds after baby’s birth before clamping and cutting the umbilical cord. During this time, blood continues to pulse from placenta to baby until naturally stopping about 3 minutes after birth. This transfer of blood from placenta to baby is most effective if baby is placed on mother’s lower belly. Reduces birth asphyxia (inadequate oxygen to brain) and cerebral palsy. *Stem cells play an essential role in developing immune, respiratory, cardiovascular, and central nervous systems. The concentration of stem cells in fetal blood is higher than at any other time of life! 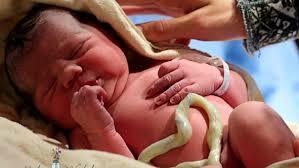 When a baby’s cord is immediately clamped, 1/3rd of these critical cells remain in the placenta, NOT your baby. Immediately clamping the umbilical cord was popularized in 1913 as one of three pillars of active management of the third stage of labor. While this intervention began in the West, we exported this technique to developing nations around the world. Today, in some low-income countries as many as 95% of delivery clinicians surveyed practice immediate cord clamping. Immediate cord clamping results in up to 10x the risk of developing iron deficiency anemia. The WHO no longer recommends immediate cord clamping. Not only have people around the world traditionally waited for the cord to stop pulsing until the 20th century innovation, every other mammal studied instinctively waits for cord to stop pulsing. If a newborn is sick at birth, one of the first things they often receive in NICU is fluid support (about 4-8 teaspoons of normal saline or blood. 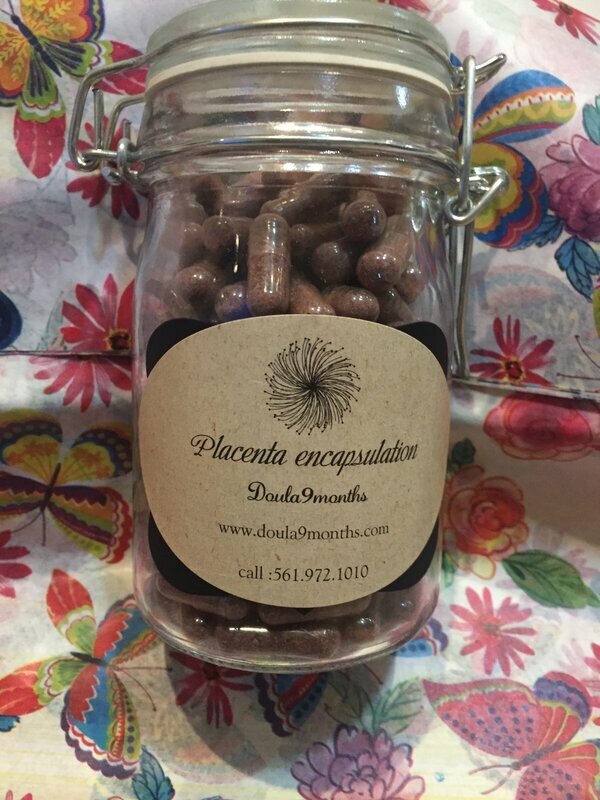 Yet that is exactly what’s left behind in the placenta when a cord is immediately clamped—about 2 tablespoons of whole blood. Therefore, it can sometimes be beneficial for your baby to let nature do its own transfusing! If a baby is born in distress and needs resuscitation, delaying cord clamping may need to take a back seat. Babies in distress need immediate attention and it may not be practical to care for them with the cord attached. As more is learned about the benefits of delayed clamping, pediatricians may adjust protocols to do some procedures at bedside, allowing cord to remain attached. If the cord must be clamped immediately, you can make up for the lost iron by giving baby an iron supplement, or feeding her iron-rich foods, when she is ready for solids. WAIT until your baby’s cord stops actively pumping fetal blood. Most midwives/doctors will agree to delay cord clamping as long as they know ahead of time that this is what you want. It is a good idea to request delayed cord clamping in bold in your birth plan and discuss it with the attending nurses at your birth.